Part of what makes a relationship rejuvenated and long lasting is the ability of the partners to celebrate the little milestones that they reach together. 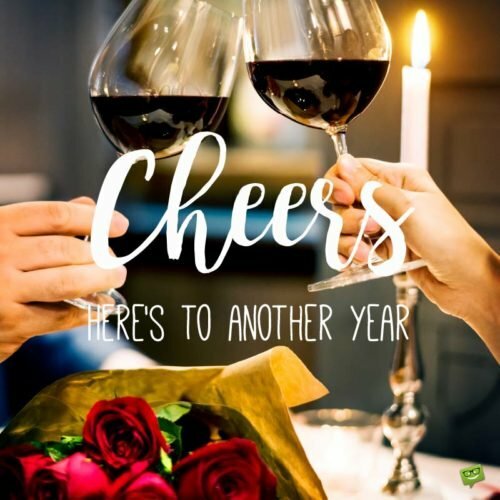 This includes sending messages of love and goodwill that not only recognize their being together but also sets the tone for the years to come. Here are some sweet samples to get you going. Happy anniversary! You’ve been an awesome guide and friend over the years! I look forward to many more adventurous moments with you, my love. Wishing us a truly wonderful anniversary. Your patience with me even in times when I’m so unlovable is testament to your unwavering commitment to this relationship. Thank you, and happy anniversary to us. Isn’t it amazing that we’ve been able to work out our differences and are still going strong after all these years? I love you and would do it all over again, if given the choice. Happy anniversary, babe! Your elegance, beauty, brains, and tenacity make you one in a million! And, of course, I’m the luckiest guy in the entire universe simply because the heavens have blessed me with a wonderful girl like you. Happy anniversary, darling. Let’s celebrate! When I look at our relationship, I see reason in the saying that “two are better than one”. It’s been wonderful, babe. Here’s to more fun times and growth ahead. Much love. Happy anniversary, sweetie! All I want you to know is that there never lived a more gracious girlfriend than you. Get ready for tonight because I can’t wait to spoil you. Cheers. Women of your beauty are rare, and those of your bravery and whit are even rarer. Thanks for an amazing ride so far. Happy anniversary, and let’s forge ahead to greater heights together. Sending hugs and kisses. Words cannot describe how much I’ve enjoyed being with you. I can only pray that I get to experience more years of learning, growth, and love with you. Happy anniversary, sweetie. In your lips lay sweet words of courage, comfort, and warmth, which I’ve come to love very deeply. I love you, and I will forever be grateful to you for your companionship. Happy anniversary to us, babe! Let’s have a blast. We’ve had some pretty turbulent times in the past but we’ve been able to surmount them. Please know that I’ve never been more hopeful of, and confident in, this relationship. Happy anniversary, and lots of laughter and cheer to us. Wishing a happy anniversary to the most charming and thoughtful companion I’ve ever known. I love you with every single beat of my heart, dearest darling! I can’t wait to start officially spending the rest of my earthly journey with you. Cheers. The first day I kissed you, I felt an unmistakable sense of peace and assurance that this relationship is meant to be. And, yes, time has proven me right. Happy anniversary, and here’s to more fruitful years ahead. Happy anniversary, sweetie! Thank you for halving all my worries and failures and tripling my joys and successes. I simply don’t know where I’d be without you in my life. Looking forward to a real blast tonight. Meanwhile I’m sending hugs and kisses to you! Your love is unwavering and your words are divine. Sometimes I wonder why I spent so much time all by myself on the other side of the Atlantic. 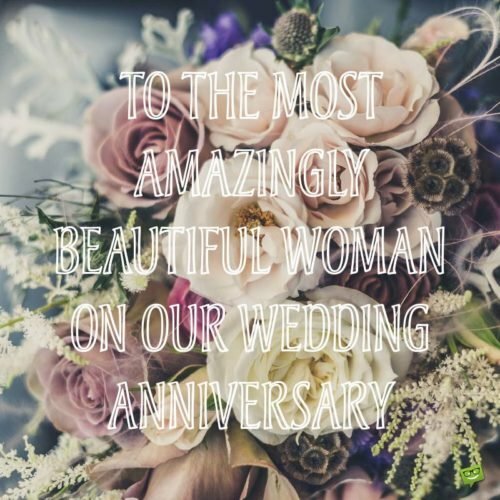 Happy anniversary, honey! Let’s make this one very special. Happy anniversary, babe! Thanks for bringing so much light, reason, and order to my otherwise chaotic life. Please know that I appreciate all that you do for me each day and would still choose you if I had to do it all over again. Cheers. My smile and new self speaks volumes to your care, love, and support every day. I really can’t thank you enough for all the incredibly beautiful things that you do for me. Happy anniversary, my love! When I’m with you, even the most difficult of dreams appear within reach and are totally attainable. Thanks, sweetie, for your love and encouragement over the years. Happy anniversary, and may we have many more years together. 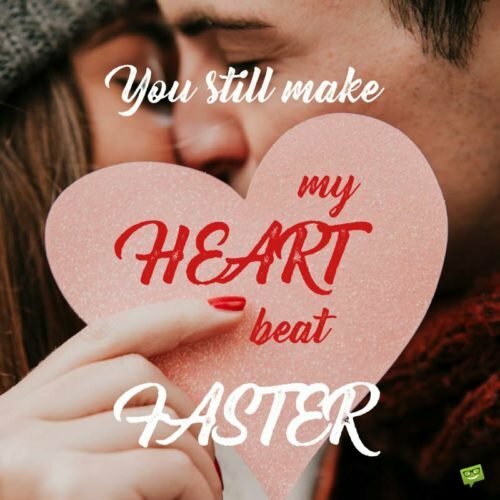 You Still Make My Heart Beat Faster. Come what may, I know that I will overcome all obstacles on my way with you by my side. I couldn’t have asked for a more loving, fun, smart, and loyal girlfriend. Happy anniversary to us. This is only the beginning of amazing times ahead. I promise you! Much love. Happy anniversary to the dynamic wind that powers my sail! Sweetie, you’ve been a force for good in my life. I ask for long life, blessings, and joy for you. I look forward to what the future has for both of us. Cheers. Today, I celebrate when things began to turn around for good in my life – the day you accepted to be my girlfriend. Happy anniversary to us, and may our love forever grow and flourish. I love you. I can’t wait to get home and stare into your beautiful eyes as the world stands still. Happy anniversary, darling! I’m most grateful for this wonderful intimate relationship that we share. Sending hugs and kisses to you. My Best friend, My Beauty, My Love. The true definition of blessed is when a guy finds himself in the arms of a woman who knows how to treat him like the king that he is. Happy anniversary, my love, and thank you for being real and fun. Much love. I bless the day that I found you, your charm, inner beauty, and hilarious jokes! Indeed, I’m a better man today, thanks to you. Happy anniversary, and I promise to be on my “A” game tonight. Cheers. You are the real reason why I live this life in the present. Your deep thoughts and charming self-leave no time for me to focus on other things. Happy anniversary to us, and may this beautiful relationship never grow sour. Happy anniversary to the woman I love, and the backbone of my success in these past few years! I love you, and I’m most grateful for having you in my life. You rock for real!